The PlayStation 4 has a great life and some amazing games. When it does come time for Sony to release a PlayStation 5 we can expect a lot of really great games on there was well. From new properties to sequels to our favourite games of this generation, here are some games sequels we’d want to see on a PlayStation 5. Bloodborne is one of the most intense and exciting games on the PlayStation 4 and if FromSoftware decides to make a sequel it’d be great if it was on a PlayStation 5. The improved graphical and level rendering capabilities would be a really welcomed addition to this horror action game. Any fan of the Dark Souls series who hasn’t already played Bloodborne they should definitely do something about that as soon as possible. The Grand Theft Auto series is one of the most popular and well established in all of video games, so it stands to reason that a sequel would come out in the next PlayStation console. Gamers love the shenanigans and story from the last game and the online mode was a welcomed addition. The next one should aim even higher though, maybe take on simulating multiple cities or an entire country. The main character could see a rise from a low-level gang member to a gang lord over an entire country. We’d experience all the highs and lows including all the cool things they’d get up to along the way like bank heists, gambling and car chases. It sounds exciting already. If you want to do a bit of gambling yourself then places like LadyLucks have some great mobile slot games and offer an awesome welcome bonus. It should help you get a feel for how a GTA character might feel when they go gambling. 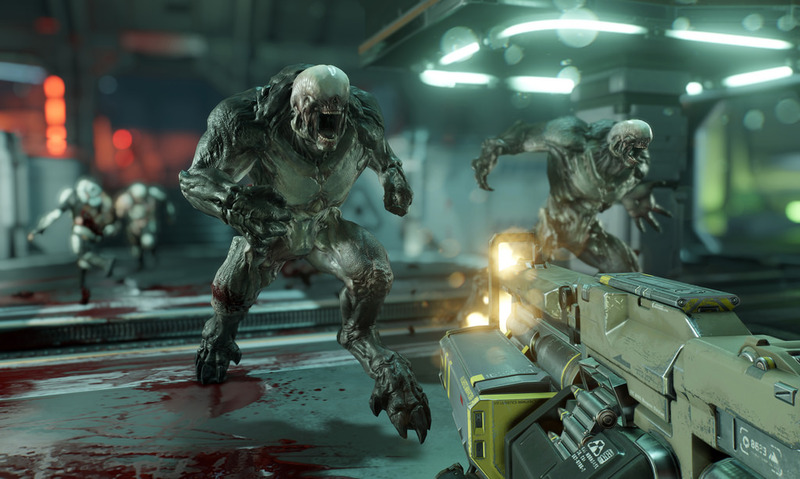 Doom was a massive hit when it came out in 2016 and is quite rightly one of the best games released this generation. It is an adrenaline-fueled game from start to finish with an interesting story and some of the most exciting shooting ever in a video game. It also has an amazing soundtrack that really sets it apart. A sequel on the PlayStation 5 would be a great addition and something that everyone would be happy to see. PS Vita 2: Could It Destroy Nintendo’s Attempt At Glory?